Crafted with pre-preg carbon fiber, the carbon fiber door pulls are a great addition to the interior of your car. The door pulls replace your existing metal door pulls, and save a lot of weight. 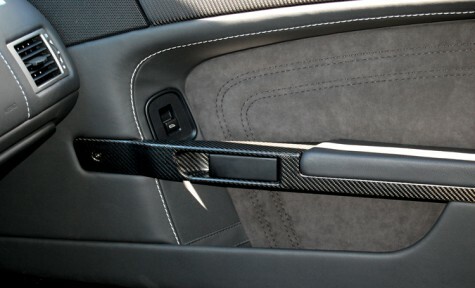 The carbon fiber finish matches that of the other factory parts and come in matte or glossy carbon fiber. This part also looks great with the door tops and/or door sills.